US State Department figures from 2013 reveal a sharp 80% rise over the course of the year in Israeli visa requests that were rejected, continuing a trend of Israeli visa rejections over several years. 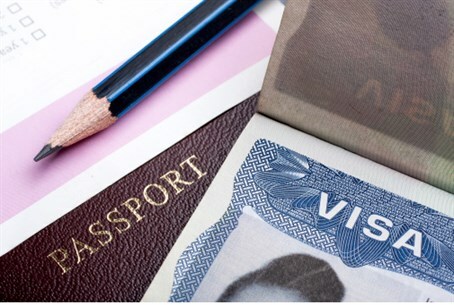 The figures, which were published Monday morning in Yediot Aharonot, show that last year about 125,000 Israelis requested tourist visas to the US, with 9.7% of them being refused. The previous year in 2012, that figure was at 5.4%. The percentage of rejected requests has risen dramatically in the past years. As recently as 2007, a mere 2.5% of the requests were denied. Due to the recent upsurge in visa request rejections, Israel has lost its place on the "white list," the list of countries whose citizens can visit the US without a visa. Only nations with a visa rejection rate of less than 3% are allowed on the list. Sources in the Israeli Foreign Ministry's consular branch claim the increase in rejections stems from political motives and is unwarranted. They add that the rejections were meant to remove Israel from the "white list." "We meet all the requirements to receive an exemption (from visas), aside from the rate of rejections," noted an official in the Foreign Ministry, who criticized the move as "political." As Israeli ties with the US have become tense, with America has exerted pressure and boycott threats on Israel in the frame of peace talks with the Palestinian Authority (PA), Israeli connections with China have been growing stronger, including mutual tourism agreements between the two nations.